Golf: from its Scottish Highland origins to its distinctive wardrobe, and from St Andrews Old Course to the lush greens of Augusta, the word conjures a history and a world and this book is the perfect window onto that world. 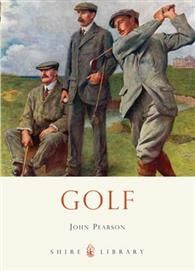 Packed with colour illustrations and photographs, it traces golfs evolution from preserve of the privileged few to aspirational pursuit of the masses, taking in the games Victorian and Edwardian popularity and the rise of the professional sport in the twentieth century. Expert John Pearson also provides a detailed look at the evolution of golfing equipment, from the earliest feather balls and wooden clubs to the hi-tech equipment of today, and at the famous players and championships whose names are known the world over.